TS EAMCET 2019 Answer Key will be released online in two steps as Provisional and Final answer key. 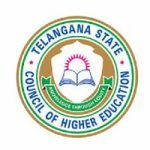 TS EAMCET (Telangana Engineering, Agriculture, Medical Common Entrance Test) is a state level examination. It is conducted by the Jawaharlal Nehru Technological University, Hyderabad on behalf of TSCHE. This exam is organized for providing admission to UG courses in the field of engineering, agriculture & other courses. In this article, we have updated complete information about TS EAMCET Answer Key 2019 including releasing date, how to challenge for discrepancy and how to get answer key. There is different answer key for engineering and different for agriculture courses. You get the answer key link of both the papers on the website. Several coaching institutes also provided the answer key for checking the correct solutions. The students are suggested to refer the official answer key published by the authority as it contain all the accurate answers. Calculate your marks with the help of answer key. Before referring the answer key, must ensure to verify the answers with the answer key of your paper set only. Secure 1 mark for every right answer and there is no mark deduction for incorrect answer. TS EAMCET Result 2019 will be announced on May 2019. Candidates can check their results through online mode only. It will not be sent to the any candidates by post to their registered address. TS EAMCET 2019 Rank Card will be released in the month of May 2019. It will be available through online mode. The authority will not sent the rank card to the candidates through offline mode under any circumstances. TS EAMCET Counselling 2019 will be comprised of certificate verification & option exercise procedure. The authority organize separate TS EAMCET 2019 Counselling for MPC & BiPC stream. Candidates can make an objection with in one week. Each representation received with valid fee on a given time will be considered for examination process only. No communication or incomplete representation will be entertained. The final answer key will be released for engineering & agriculture on May 2019. Candidates can check it through online mode from the official website. TS EAMCET 2019 Answer Key will be published in all sets. With the help this, candidates know the correct answers to the questions asked in the examination. The authority organizes the TS EAMCET 2019 examination on 3rd, 4th & 6th May (Engg Stream) and 8th & 9th May (Agri stream). After the examination, answer key is being published. The authority releases the final answer key for engineering, medical & agriculture course on May 2019. Candidates can also check the provisional answer key on May 2019. Candidates can challenge it within one week. Candidates check the result through online mode on May 2019. Visit the official link (link will be provided above). As you click the link, you are redirected to the answer key page. Download the official solution key of the exam you are looking for and save it on your PC. You may also take the printout of the answer key for further use. The examination will be conducted through computer-based test mode. For each correction answer one mark is provided to students. There is no negative marking in this exam. The question paper will carry total 160 marks for both engineering & agricultural courses. The total exam duration to be three hours. Candidates can make objections within one week after releasing answer key. The objections to be submitted only through online mode. No other mode will be entertained. Objections should be substantiated with proper justification. Candidates can challenge answer key by paying an amount of Rs. 5000 (Rs. 2000 in case of SC/ST category). The final decision will be made by a committee. The fee will be refunded to candidate in case the challenge will be accepted by the committee. Candidates will check OMR sheet along with TS EAMCET Answer Key 2019. It will be available through online mode from the website. Candidates will view it by entering their registration number & hall ticket number. If candidates found any discrepancy in OMR sheets, they will submit their complaint via online after paying Rs. 5000 (Rs. 2000 for SC/ST candidates) till last week of May 2019. Candidates those will appear in the examination only can check their result. The TS EAMCET 2019 result will be provided to students through online mode. To check the result, students have to enter various details like hall ticket number, date of birth, qualifying exam hall ticket number, etc. Candidates should keep the result safe for further use. In case of any query or doubt related to TS EAMCET 2019 Answer Key, you may ask us by commenting below. Sir,the key released by govt and gayatri key cannot match 2 questions are different in both what procedure to make correct.. In this year I would complete intermediate. I have taken MPC in intermediate.Iam weak in mathematics. Which cources should I choose for my further studies. For me grace marks in chemistry were not added should i submit the paper for reverification.